The following range from small scripts and bookmarklets that improve websites in certain ways to complete tools in and of themselves. Extensions should install when you click the button in your browser's extensions gallery. Scripts can no longer be installed like extensions in Chrome, but can still be used in some browsers. Bookmarklets can be created by dragging the link indicated to your bookmarks bar. If one of these has been useful for you, please consider buying me a cuppa. You talk, Chrome understands. Voice Actions for Chrome allows you to control your browser by talking to it. In addition to searching, it allows you to look up web pages, maps, directions, and music with spoken commands. It also helps you find certain tabs if you have too many open. Notifier for Rizzoma notifies you of new unread messages and edits in Rizzoma even when Rizzoma.com is not open. It can also play a sound to notify you of new waves and display an unread count on your Chrome toolbar. What would Rizzoma look like as a Google app? Download this extension to find out. This extension changes the entire Rizzoma interface to have a “Kennedy design” look, like 2011-2019 Google apps, such as Gmail. The result is a bit cleaner and more familiar. Google has been updating its apps with new looks over the past year. While they provide a more consistent experience, they also take up more space, which can make them feel cramped on smaller screens. These extensions reduce unnecessary padding to give you more room for content. This extension adds a search box to the Rizzoma gadget menu that lets you search the Wave Extensions Gallery for gadgets to add to your waves in Rizzoma. This extension replaces the Rizzoma light gray toolbars with darker, more visible ones. 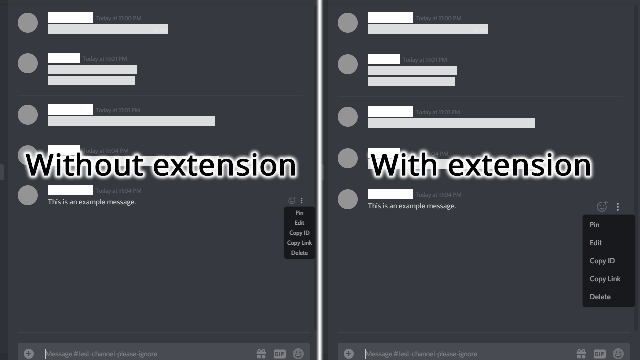 Remove the custom scroll bars in the Google Wave client and restore the default browser scroll bars. This may stop working when Google Wave's layout gets updated, but I usually fix it within a few days at most. Displays your number of unread waves and notifies you of new ones. Opens the wave you are viewing in a new window. If you have multiple waves open it will only open the first one. This is a holiday extension I wrote for those who celebrate Passover. It will infect every web page you visit with one of the ten plagues from the Passover story. This extension does not actually infect anything with computer viruses.